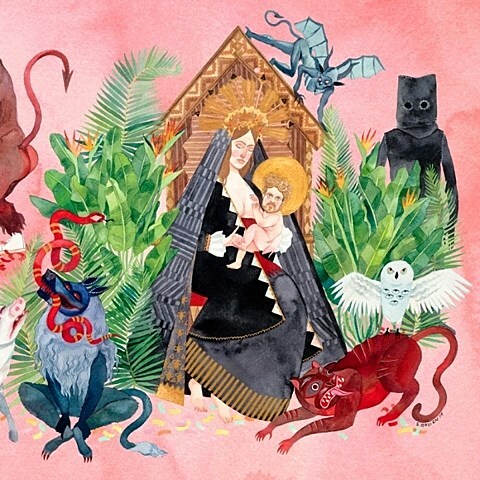 Josh Tillman has announced the release of the second album under his Father John Misty moniker. It’s called I Love You, Honeybear and will serve as the follow-up to his excellent 2012 debut Fear Fun. Like that album, this one was also produced // recorded alongside Jonathan Wilson, mixed by Phil Ek, and mastered by Greg Calbi. It’s due out on February 10 via Sub Pop and is up for preorder now. FJM just recently performed the great LP cut “Bored in the USA” on Letterman backed by an orchestra, and you can check out footage from that performance at the bottom of this post. Cover art and tracklisting for I Love You, Honeybear can also be found below. 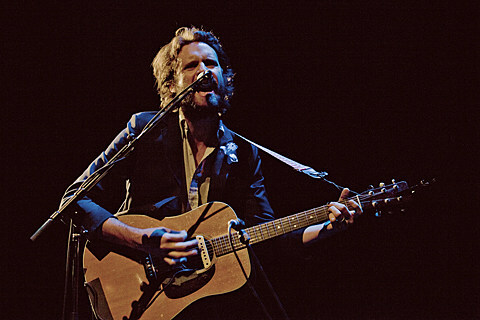 FJM will be embarking on a 2015 international tour in support of the LP in mid-January. That tour includes a two-week stint with labelmate King Tuff, and you can look for the pair to tag Chicago for a show at the Vic Theatre on April 3rd. Tickets for the Chicago show go on sale this Friday (11/14) at 10AM CST.